View of prescription pills next to bottles on table top that are habit forming. 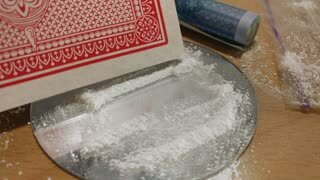 Razor blade with white powder drug forming a line on black table top for snorting. Animation with stones forming the word STONED. 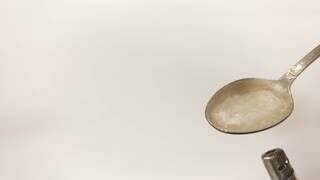 Animation with pills forming the word DRUGS. 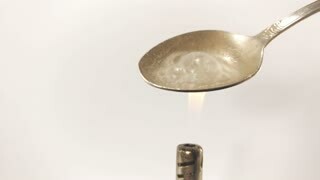 Man Preparing Dose Of cocaine by heating it with lighter in spoon. Close up. 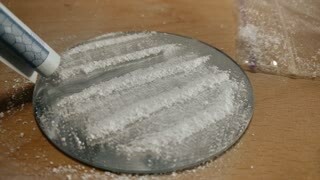 Footage will work great for any videos dealing with opiate addiction, Life Danger, crime.